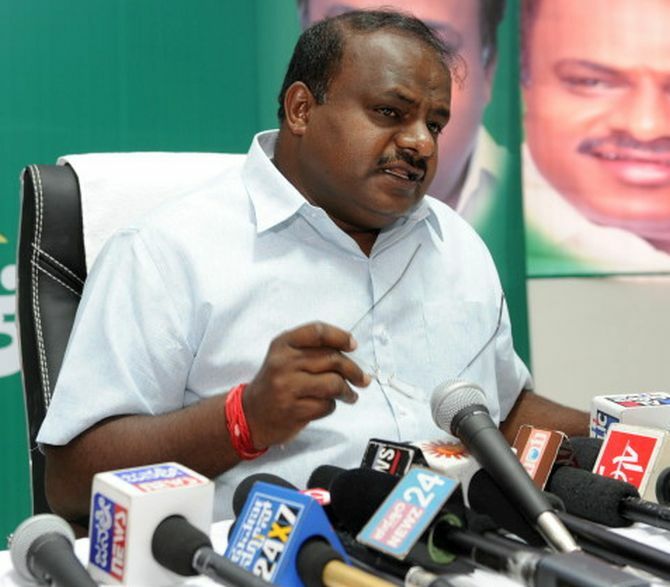 The acrimony between the Congress and the Janata Dal-Secular in Karnataka reached a new high with Chief Minister H D Kumaraswamy on Monday threatening to step down, saying he never “craved” for power. His comments a day after a ruling Congress MLA demanded that Siddaramaiah be made the chief minister again. “If there are any shortcomings in our government, they should discuss straightaway with chief minister or Deputy Chief Minister G Parameshwara, who is in charge minister of Bengaluru... We cannot tolerate indiscipline,” he said.